Many employers are uncertain when it comes to knowing how and when to pay hourly, nonexempt employees who travel for work. Perhaps that’s due to the answer: it depends on what kind of travel it is. Assuming the travel is to benefit the employer, here are some specific questions to ask that will help you understand the *federal compensation rules for paying employees who travel. Is this particular trip a “one-day only” travel arrangement? According to the FLSA guidelines, when a nonexempt employee typically works at a fixed location each day and is given a special assignment to travel to another city for the day, all travel time that is in excess of typical commute time to and from the regular worksite should be compensated. Meal periods can be excluded. Employees who must first report to an employer-dictated site (for example, picking up materials at the post office before arriving at work) or who typically travel from worksite to worksite during the day should be compensated for all travel time, beginning from the first location at which they arrive. Commute time from home to the first site is not compensable. Is this particular trip an overnighter? Driving to/from an airport or other transportation hub is not considered compensable time, similar to the commute time rule above where employees are not compensated from home to first site. However, waiting for the airplane (or other mode of transportation) at a terminal until arriving at the destination is compensable for all time that occurs during regular work hours. Wait time is typically approved at 2 hours for domestic and 3 hours for international travel. An employee who drives an automobile to travel to the work destination should be compensated, regardless of whether the driving occurs during or outside of normal work hours. If, however, driving the vehicle was an employee’s personal preference and the company had authorized a different mode of transportation, the employee may be compensated for the lesser of the time spent driving versus the estimated travel time of the company’s authorized mode of transportation during regular work hours. Traveling as a passenger is compensable only if it occurs during regular work hours. Is a social event after work hours compensable time? Let’s say a nonexempt employee travels to a trade show that has a dinner or sponsored event in the evening. Should that be considered compensable worktime? It depends on whether the employee’s attendance at the event is mandatory. Similar to an after-hours company work party, any mandatory attendance is compensable worktime; elective attendance is not. When should traveling employees clock in? In general, work performed offsite should be treated the same as onsite workdays and follow the same company policies for clocking in and clocking out. 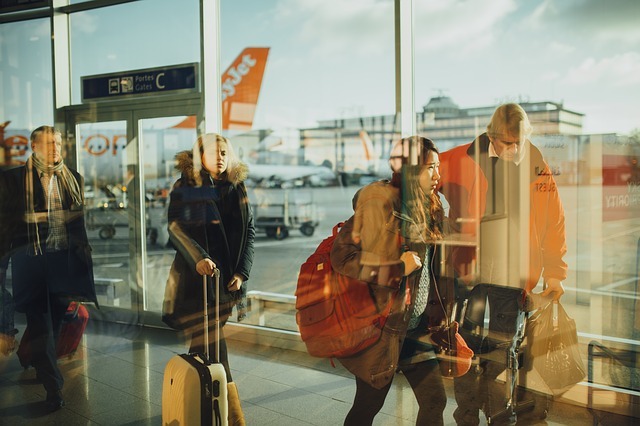 However, to reduce confusion regarding time spent traveling and off-site work, we recommend that companies create a travel policy that outlines the above pay rules for nonexempt employees. With a policy in place, employees are responsible for accurately tracking and reporting travel time in accordance with the company’s travel policy. For questions about your specific traveling scenario or to get help with setting up your company travel policy, please contact our HR experts at HR@stratus.hr. *Note: some states have different rules than the federal FLSA rules. See your state labor laws for more information. What are the rules for paying hourly, nonexempt employees when they travel?